The Dartmouth General Hospital (DGH) is embarking on a $132 million redevelopment that will see a $99 million investment in facilities renovations and expansion and $33 million in new equipment and technology. Our project is a key part of the overall QEII Redevelopment project, a multi-site plan to build a modernized acute care system. A new three-story addition will be added on the back of the hospital (now under construction). The Foundation’s role in the DGH redevelopment and expansion project will be to create awareness and visibility surrounding the project, and to most importantly raise funds to help make it possible. In the coming months more information will become available regarding a Capital Campaign. The Foundation has been out in the community sharing the plans and benefits of the Redevelopment. Sessions were hosted by local businesses MNP LLP, Knightsbridge Robertson Surrette, Office Interiors, Delta Dartmouth and Shannex inviting community leaders and key stakeholders to attend. Briefings offered an opportunity to learn about the impacts of the Redevelopment on healthcare services for families, friends and employees whom the Dartmouth General serves. The QEII Redevelopment project is the plan to relocate care and services from the Victoria General and Centennial buildings which will be decommissioned by approximately 2020 and later demolished. However, the project is much more than replacing aging infrastructure, it's also about planning for the future of care delivery in Nova Scotia to ensure we are meeting patient’s needs now and 30 years from now. 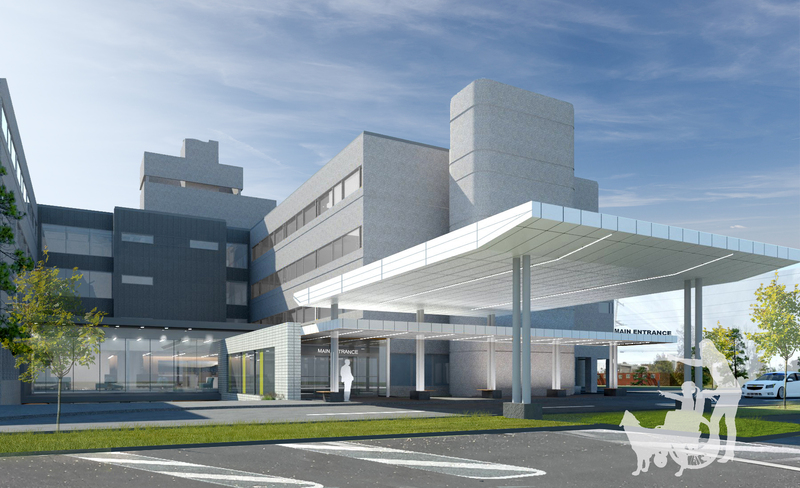 The overall project includes many individual projects such as the redevelopment and expansion of the QEII Health Sciences Centre, the redevelopment and expansion at the Dartmouth General Hospital, an OR renovation at Hants Community Hospital, a new Community Outpatient Facility in Bayers Lake and a new residential Hospice located in Halifax. Dartmouth General's project, along with these others, will support the eventual closure of the Victoria and Centennial buildings. For more information on the QEII Redevelopment, visit http://qe2redevelopment.ca.